I have followed your shorter-distance programs for the last eight years, and they have helped me tremendously. I am currently training for my first marathon next month. The longest training run I accomplished was 18 miles about one month ago. I started to taper early, because of Achilles/heel pain. Since then, I have run a couple of 13-milers, and the injury has not bothered me too much. Since you are the expert, do you think I am ready enough to run the full 26.2 miles? I understand there are no guarantees, but I feel like I could push through and finish, which is my only goal at this point. A goal of “only to finish” seems to me like quite a worthy one, particularly for a first marathon, injured or not. Are you ready to run? Probably so, given your attitude going in, which seems spot on. 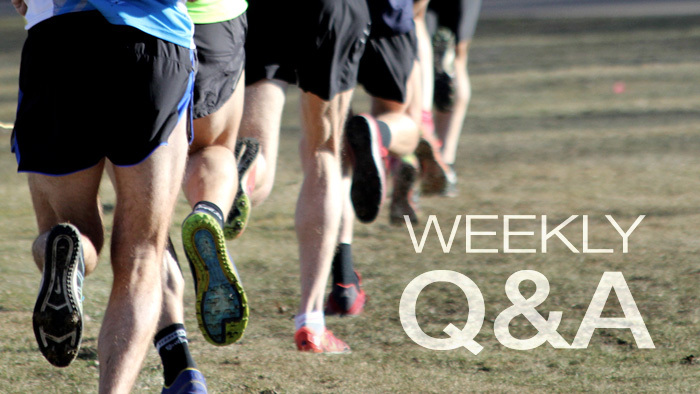 Ready to run fast, or nail a Boston qualifying time? Maybe not, but save the ambitious goals for later, assuming you plan to run more marathons. As for only reaching 18 miles in training, as far as I am concerned, once we get over 16 miles, we are into the “Marathon Zone,” when long run benefits begin to occur. If I were prescribing long runs in kilometers instead of miles, I would make 30-K the longest run, because 30-K, even though only 18.5 miles offers a round number like 20 miles. Cutting back on your mileage probably was a wise idea. Staying on the low side of the prescribed runs during the final 3-week taper is also a good idea. Should the Achilles/heel pain return, either before or after the marathon, you probably should visit a podiatrist for some hands-on advice, but my hopes are for you to have a great time in your first marathon.